The people of Cedar Mill were as eager to support churches as public schools. In this desire they were typical of the rural Americans of the nineteenth century. The school and the church were the most important institutions of the pioneers' cultural life. Protestant denominations were the first organized religions to reach the Tualatin Valley, including Cedar Mill. 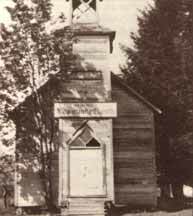 By 1858, the Methodists were active in the area, holding their quarterly East Tualatin Circuit Conference meetings at Union School. The building was later used by Father W. A. Verboort who conducted Catholic services in Cedar Mill in 1875. Several later churches were the German Congregational Church, thought to have been established in 1887, and more recently, the Cedar Mill Bible Church formed in 1941. William Cornell was probably the first licensed preacher to reside in the vicinity. Cornell arrived in 1852 and took up a donation land claim along the road that bears his name, just east of what became the Multnomah County line. Methodist Episcopal quarterly conference records indicate Cornell was a "Sabbath School" teacher at Union School in 1858. 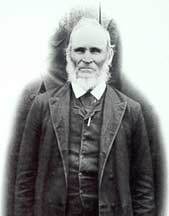 It is not known when he became an ordained minister, but the records reveal his license to preach was renewed in 1860.